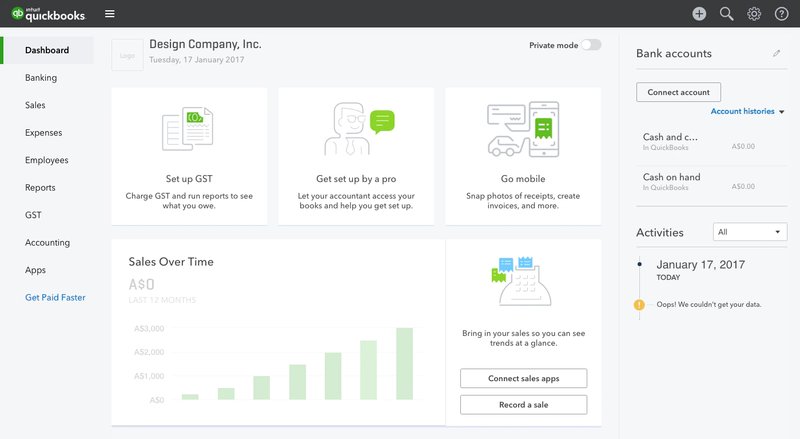 We’re thrilled to share that through feedback and real-world testing from our customers, it is now easier to find and use the features you use most in QuickBooks Online through our updated left-hand navigation. Below is a click down of the additional pages you’ll find under each heading. Go from sent to paid in days with our recently updated Invoice Tracker feature now live in our iOS and Android apps, and available in our web experience at the end of January. Simply click All Sales and then Invoices to view that status to of all your invoices. Sent: The invoice has been emailed to the customer. Viewed: The customer has open the invoice. Paid: The customer has paid the invoice (if you are using Accept Payments with PayPal this status will be automatically updated). Deposited: The payment has been received and matched to the invoice via the bank feeds. For those late paying customers you can quickly Send a reminder by clicking the relevant invoice and then clicking the Send a reminder link. 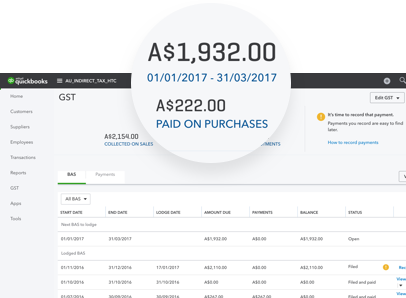 We’re excited to give you a sneak peek into the updated GST Centre, a powerful enhancement to QuickBooks Online. 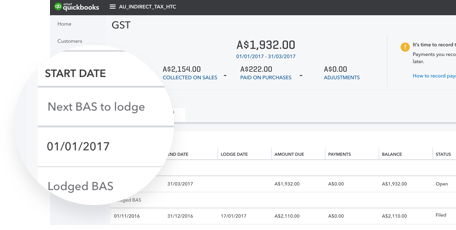 Enhancements to the new GST Centre will be rolled out gradually, so over the next few weeks you’ll see changes applied to your files and have access to new valuable, built-in features. Immediately know your current GST liability and when your next lodgment is due. It’s all upfront and easy to track right from the dashboard. You can select and view all your reports right from the dashboard by simply choosing View Reports and selecting from the options in the menu. Easily keep track of your BAS lodgments on one screen with instant insights as to where they stand: open, lodged or complete with payment. View all payments and history in one location. View all details of your lodgments clearly on the dashboard. 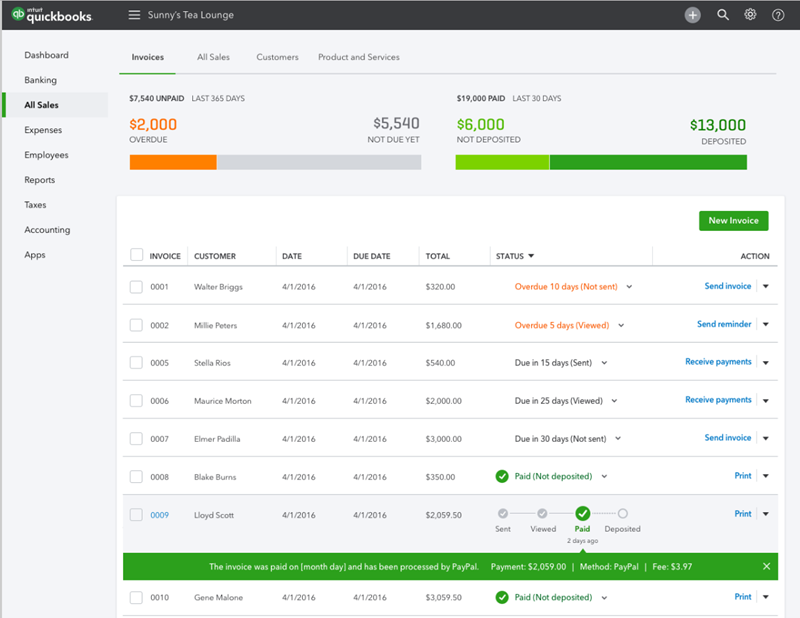 We continually update QuickBooks Online based on customer feedback and suggestions in an effort to make it faster and fuel your success. To review our previous November changes, Click here.